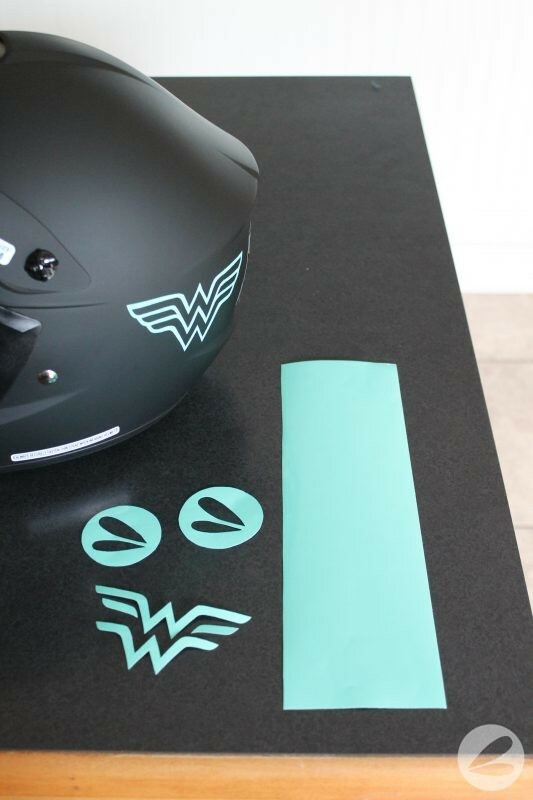 It’s so easy to create your own logos with vinyl! 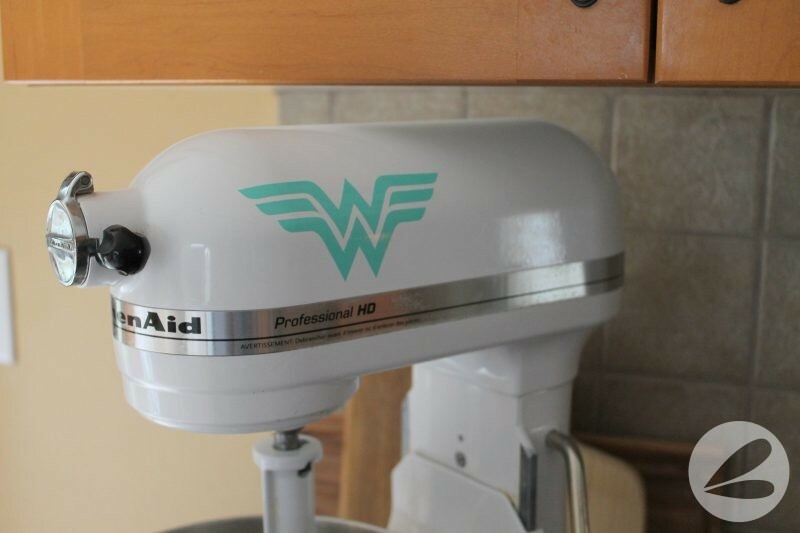 I used the solid wonder woman symbol for my kitchen aid mixer and the outline for my dirt biking helmet. 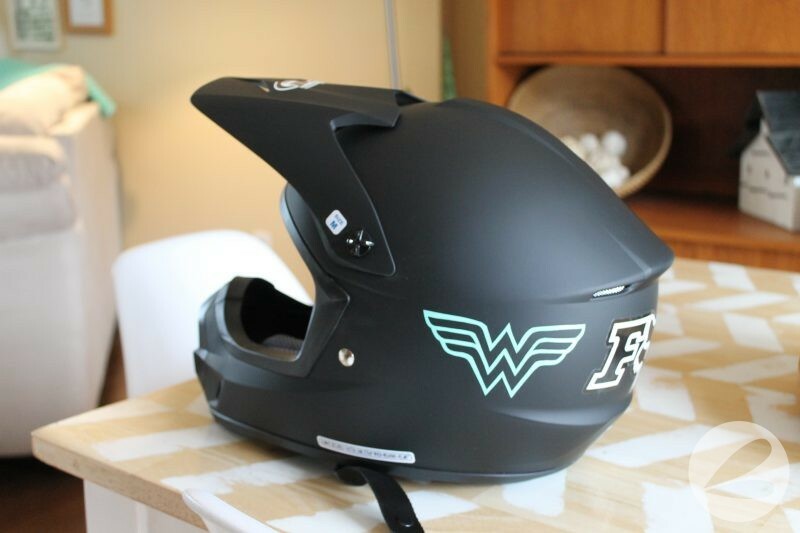 It all started with this basic, black helmet. 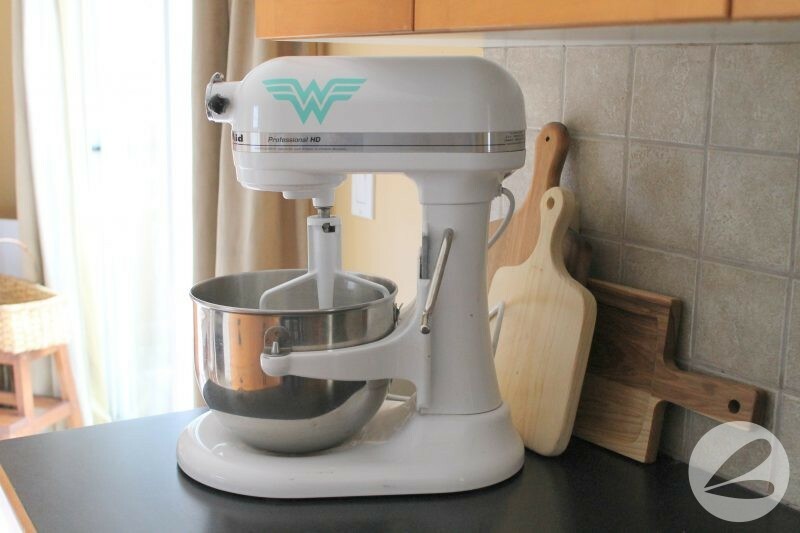 It just screamed “personalize” me! 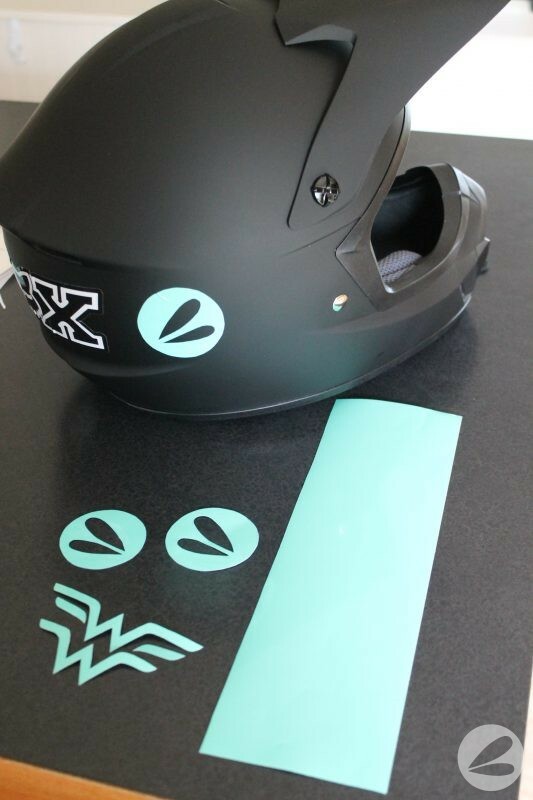 So I went to Michaels and purchased a sheet of turquoise peel and stick vinyl to play with. I started with my own blog logo. It’s a pretty straight forward shape to cut out with a pair of scissors. I simply traced the logo onto the back of the vinyl and cut it out. 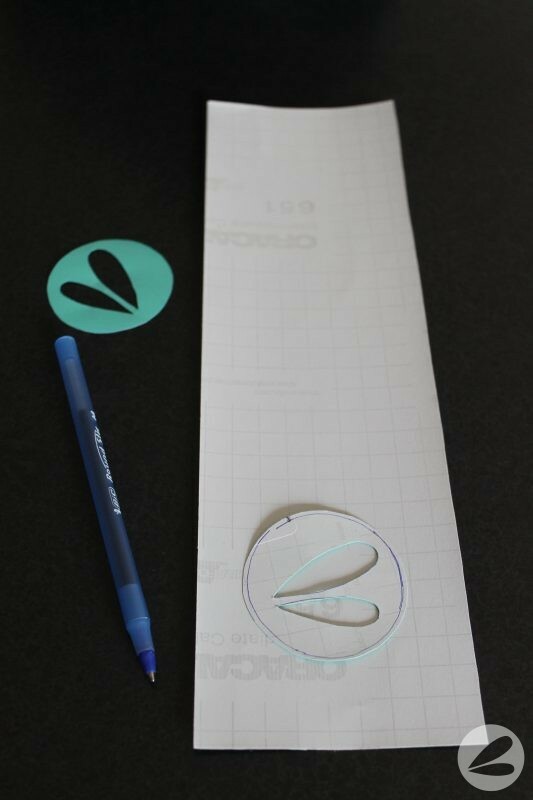 If you are not sure of your drawing skills you could run the vinyl through your printer and print the logo that you want onto the back of the paper. Just be sure to flip the orientation if you need to so that when you cut it our your image is “facing” the right direction and not backwards. I carefully cut out the wonder woman log so that I could use the solid image and the outline. 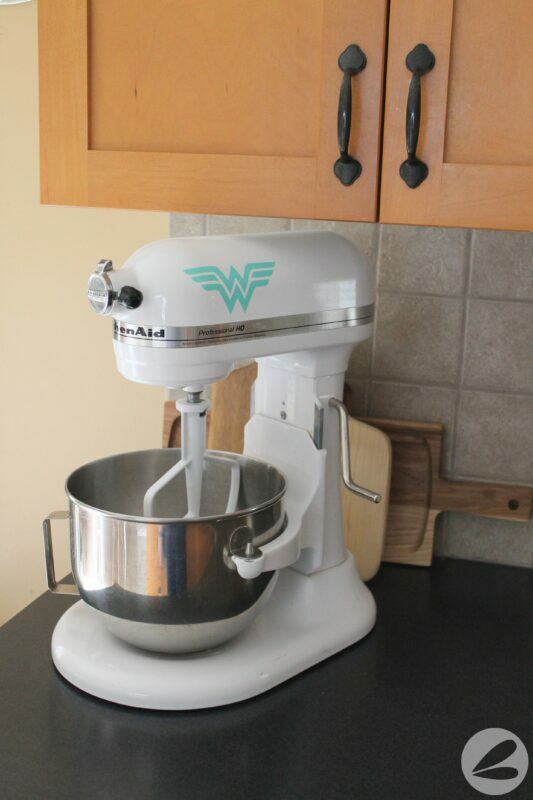 The wonder woman outline went on my helmet and the solid logo was a perfect fit for my mixer. Have you played around with vinyl much?